ArkAngel PUBG wasn’t the first team formed within its organization, but you can’t deny the fact that they were one of the reasons ArkAngel became well-known in the esports scene. Even before ArkAngel acquired the team, members Dexter Lou (dexyBiceps), Andrei Catangay (AidreN), Yves Navarro (k1lla-), Mark Marquez (Constantineee) and Paulo Millendez (SpunkyNero) weren’t strangers to each other as they were already playing PlayerUnknowns Battlegrounds together with their earlier clan, La Familia. Dex played in Canada while the rest of the team were here in the Philippines adjusting their timezones to play in North American scrimmages. With this type of unconventional setup, the team managed to stick to the plan and they didn’t stop grinding up until they were confident with their A game and with fair practice along with their fellow clanmates, the five of them became a part of the Top 10 Players in SEA Region of Squad FPP during beta rank season. After officially carrying ArkAngel’s name, the team went straight to tournaments, even qualifying for international ones such as Auzom Open Series and Xyclop’s Run N’ Gun. 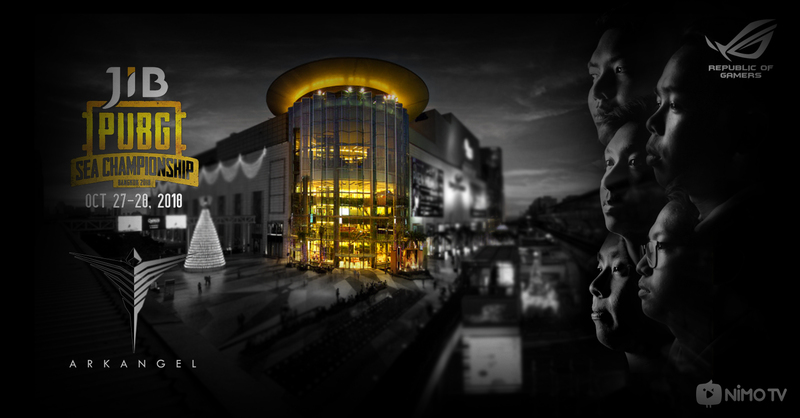 And of course, being crowned as champion in the Philippines’ first PUBG Major LAN Tournament has rewarded them, not only a trophy and a trip to Thailand to represent Philippines in the PGI Southeast Asia Qualifiers, but also the success that made ArkAngel’s name well-known, especially in the PUBG Community. Despite placing 3rd in PGI SEA Qualifiers, the community continued to support the team, seeing utmost devotion in their play, and saying they have brought pride in the country’s flag, proving the Philippines is a nation to watch out in future international tournaments. 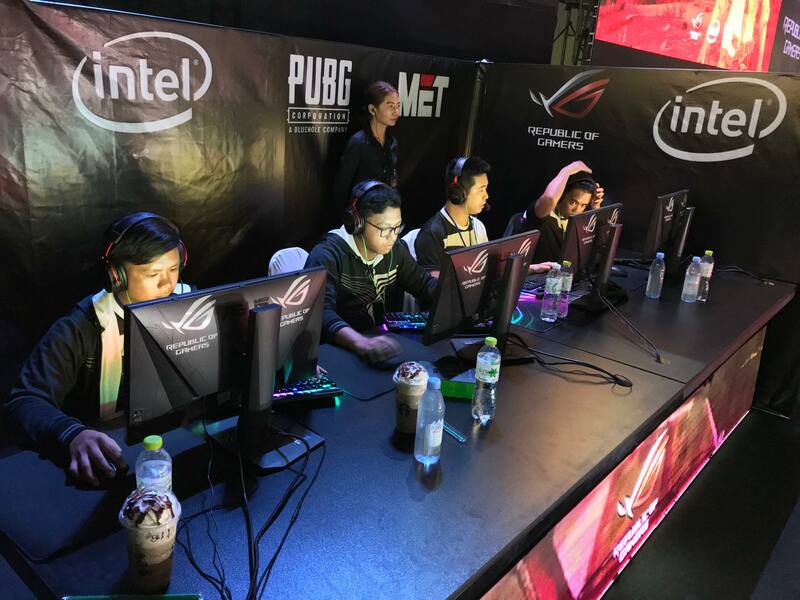 ArkAngel PUBG continued their glory by joining tournament after tournament, local or international, placing better than most would have expected. On August 2018, Paulo Millendez needed to take a break from the pro scene, and Mark Marquez was promoted from a player to the teams Manager; thus the addition of Karl Baliuag aka Haxxxx on the team. Shortly after, John Carlo Panlilio aka SuperLocs was acquired as well. The team adjusted slowly and managed to bring pride in the organization’s name once again; placing 4th in GeForce Cup 2018, becoming AMD Esports‘ champion, and competing in Thailand for the second time, placing 8th in the JIB PUBG SEA Championship. Unfortunately, some things can’t last forever and just like any other team in the esports industry, it is unavoidable that there will be hardships; might it be personal or due to performance. Change is indeed inevitable and it’s normal, especially in the professional gaming scene, for players to come and go. To change teams, pursue something different, focus on their family, and other reasons. We admit, this one is surely painful, just like any other organization, we see each other more often as family than workmates or acquaintances. We are sad to announce that after losing two players, three of them needs to bid farewell as well this 2019. The whole ArkAngel family would like to thank dexyBiceps, Constantineee, AidreN, Spunky, SuperLocs and Haxxxx for carrying ArkAngel’s name. We cannot express enough how wonderful the journey has been for ArkAngel in the circle of PlayerUnknowns Battlegrounds’ world. Having players with dedication and passion represent the organization. Their stay in ArkAngel has made a very strong inspiration for the rest of the ArkAngel teams, not only to the people who support them, but also to us; people who lived with them in the bootcamp. Their discipline, from their time of practice to bootcamp rules, the respect they have shown to fellow tenants and to the bootcamp itself made a great impact to their reputation and character for the organization. Their stay in ArkAngel was a near perfect example of how a team should act and behave. Though we have experienced defeat, we have also felt the pride of winning and being given the honor of representing the Philippine flag in foreign countries. We wish you the best in the next chapter of your lives, whether it be continuing in the professional scene or pursuing other goals in life.